During the international 16 Days campaign for the Elimination of Violence against girls and women, it is important to highlight girls’ education. Today we hear from Jenna, an amazing young woman working to fulfill the Guiding Promise “to do [her] best”. 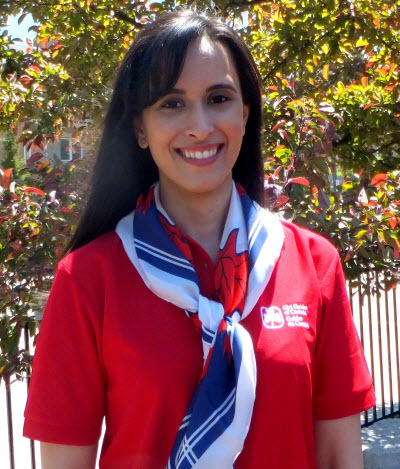 She is also a past Girl Guides of Canada-Guides du Canada scholarship winner. When I was 15, my dream was to become a medical doctor. I wanted to wear a white coat and save lives. But years later, I chose instead to pursue a Doctor of Philosophy (PhD) degree so that I could work as a researcher in the healthcare field. I don’t wear a white coat and I am not practicing medicine in a clinic or hospital – but my research has the potential to make a difference in how we manage and deliver healthcare in Canada and around the world. I was inspired to become a researcher by my professors and by my experiences as an undergraduate research assistant. My journey to become a researcher took seven years, but I wouldn’t change a thing about it! 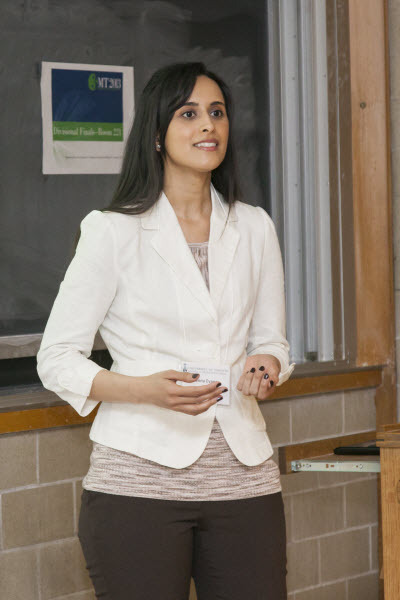 I studied Health Management at York University and then went to graduate school at the University of Toronto where I just finished my PhD in Health Services Research. A scholarship from Girl Guides of Canada helped me pay for my last year in the program! I love the challenge of conducting research. The process of identifying problems or gaps in knowledge and figuring out ways to address them allows me to be creative. My research focuses on how different parts of the healthcare system can work together better and how we can improve the quality of healthcare services. Through my research, I have had the opportunity to work with researchers in other countries, including England and India, and I have presented my work at international conferences. I have also published five academic papers and a book chapter! I am currently working on research projects with Cancer Care Ontario, Women’s College Hospital, the Community Care Access Centres, and Health Links. Watch documentaries on healthcare and follow healthcare news. Ask friends and family members about their experiences with various healthcare organizations and professionals. Read about university programs that are focused on health. My career in healthcare research helps me fulfill my Guiding Promise “to do my best” and to “take action for a better world”… one research question at a time. By guest blogger Jenna M. Evans. Jenna is a Unit Guider with the 1st Mississauga Rangers in Ontario. In addition to research, she is passionate about teaching and community service. Girl Guides of Canada-Guides du Canada (GGC) has provided scholarships to members pursuing post-secondary education since 1985. We are proud to continue this tradition and are excited to offer a revamped and easily accessible scholarship application for 2014. Are you interested in applying for a scholarship with GGC? Look to our website in February 2014 for more information on how to apply or e-mail your questions to scholarship@GirlGuides.ca.